Definition at line 3312 of file llvolume.cpp. Definition at line 3321 of file llvolume.cpp. Definition at line 3318 of file llvolume.cpp. 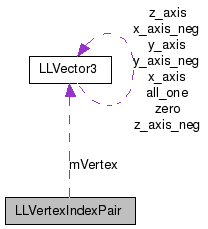 Referenced by LLVolume::cleanupTriangleData(), and LLVertexIndexPair(). Definition at line 3317 of file llvolume.cpp.